In the wake of El Salvador’s tight March 9th Presidential elections, the country’s national commercial media, always notoriously conservative, have become active agents in spreading confusion and misinformation generated by the ARENA party in its quest to undermine El Salvador’s democratic institutions. The media’s complicity in ARENA’s campaign to contest the election results and generate political instability have drawn sharp criticism from across Salvadoran civil and political society. This Saturday, in his weekly televised radio show, President Mauricio Funes condemned the nation’s media for refusing to report on the positive findings of the Organization of American States (OAS) and United Nations (UN) international electoral observation missions who, contrary to ARENA’s cries of fraud, have applauded the country’s institutions for a free and transparent electoral process. He said these respected international authorities have been forced to take out paid ads in national newspapers to get their message out. 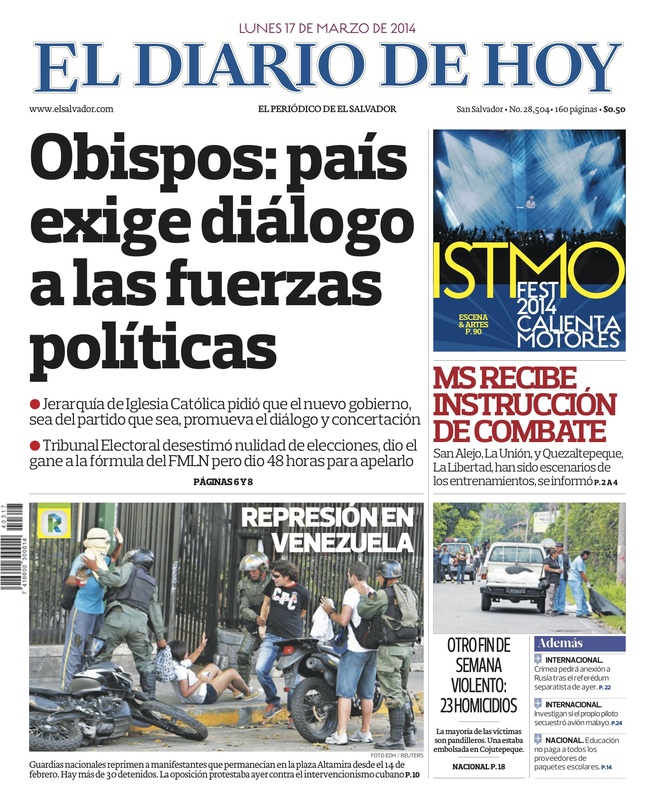 This entry was posted in Analysis articles, News and tagged ARENA, destabilization, El Diario de Hoy, media, results. Bookmark the permalink.